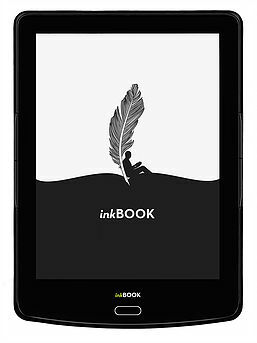 Unlike other ebook readers, inkBOOK is not locked to only one retailer. It lets you install third-party applications so that you can access as many bookstores as you like. 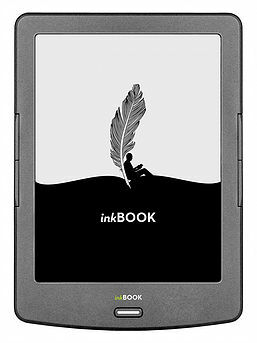 These devices have similar capabilities to Amazon Kindle eReaders with superb screens that work in a wide range of light conditions. If you have an Amazon Kindle account, you can read your Kindle books on these devices just as you would on a Kindle eReader by using the Kindle App. But now for the amazing extra benefit. You aren’t locked into Amazon Kindle because you can also read eBooks from lots of other sources such as Kobo and Nook. You are also using a fully functioning Android device which makes it as easy to use as any smart phone. *Third-party applications may require additional actions e.g registering an account, purchasing subscriptions. Some functions are/may be limited for some regions. Third-party applications are supported by their developers. The App Store may be available depending on a model and/or after firmware update. Some functions are/may be limited for some regions. **The free stress relief book included with your purchase is 'My Little Book of Helpfulness' by Monica Black. You will be sent a coupon code to after purchasing either the inkBOOK Prime or inkBOOK Classic 2.